This is a quick reference checklist of issues to be tracked. 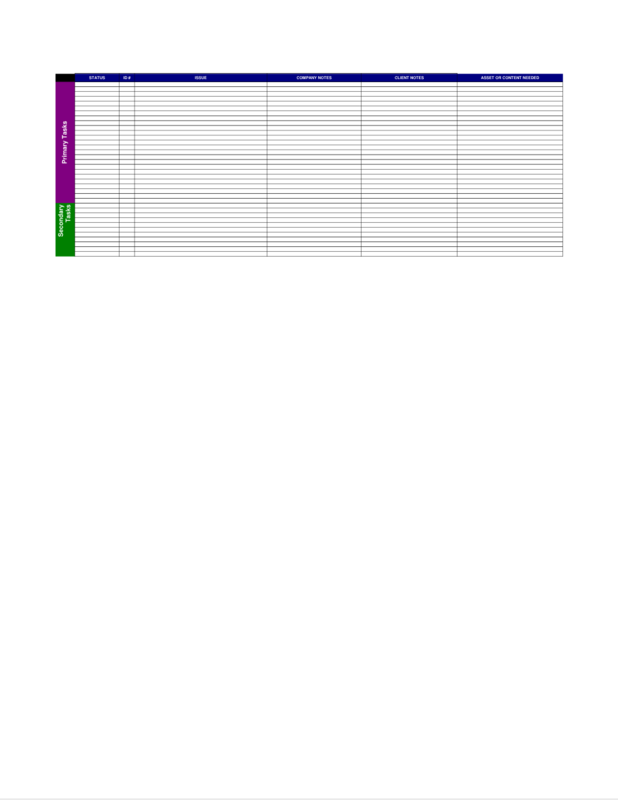 Use this spreadsheet to keep notes on customer issues, tracking numbers for each issue, the progress and additional notes. Rows are included for primary and secondary tasks. what I would have done without Proposal Kit. I had a massive brain freeze and couldn’t design my way out of a clear plastic bag." This Project Issue Log Spreadsheet is included in an editable format that can be customized for your own needs. The editable Project Issue Log Spreadsheet document - complete with the actual formatting and layout is available in the retail Proposal Kit Professional.